Have you ever thought about how similar octopus intelligence to our own? Did your mind conjure up an image of an octopus opening a jar or navigating a complex maze? Although octopod behavior has long been a subject of fascination for fishermen and scientists alike, the complexity of the intelligence driving that behavior and its parallels with our own intelligence has sparked more recent intrigue. This topic has been explored in science, documentaries, and in popular literature (Figure 1). Edsinger and Dölen (2018) set out to see how similar the molecular machinery responsible for the feel-good effects of the neurotransmitter 3,4-methylendioxymethamphetamine (MDMA) is in an octopus compared to humans and other animals. Additionally, they looked at whether the touchy-feely social behaviors seen in humans and mice on MDMA (also known as Ecstasy or Molly) would transfer to octopuses given the drug. An examination of the genome of Octopus bimaculoidesrevealed that this species hastwo versions of the Slc6A4gene that codes for the serotonin transporter molecule (SERT) which binds with MDMA to producethe outgoing social behaviors that we commonly associate with that drug. Additionally, the shape of the SERT binding site for MDMA is the same in the octopus as it is in humans (Edsinger and Dölen 2018). Both octopuses and humans have the exact same shaped lock, meaning that MDMA will fit perfectly and have the same end result for each species. Considering that humans and octopuses have been evolving independently for the past 500 million years, the evolutionary conservation of the SERT binding site for MDMA is impressive to say the least. 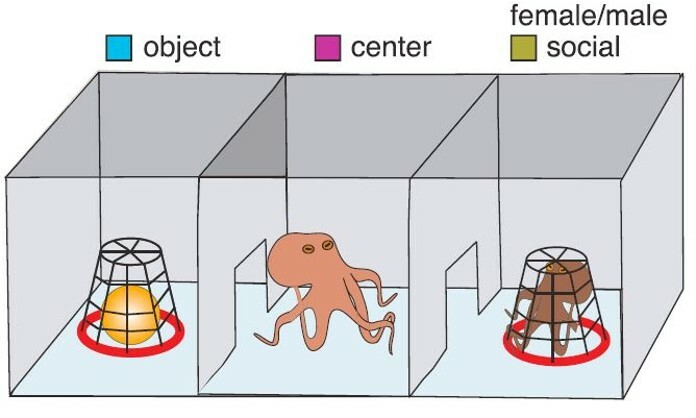 Each octopus was given the choice to spend time exploring an interesting object (aka Chewbacca: ‘object’ in Figure 2) or another octopus (‘female/male social’ in Figure 2). Sober test subjects spent significantly more time in the chamber with a female social object. When presented with a male social object, sober test subjects consistently chose to hang out with the Chewbacca figure, or other physical objects (Edsinger and Dölen 2018). Figure 2.Social experiment chamber. Modified from Figure 3 in Edsinger and Dölen (2018). The administration of MDMA reversed these behaviors. Drugged test subjects spent more time with male social objects and also increased the amount of exploratory physical contact (Edsinger and Dölen 2018). 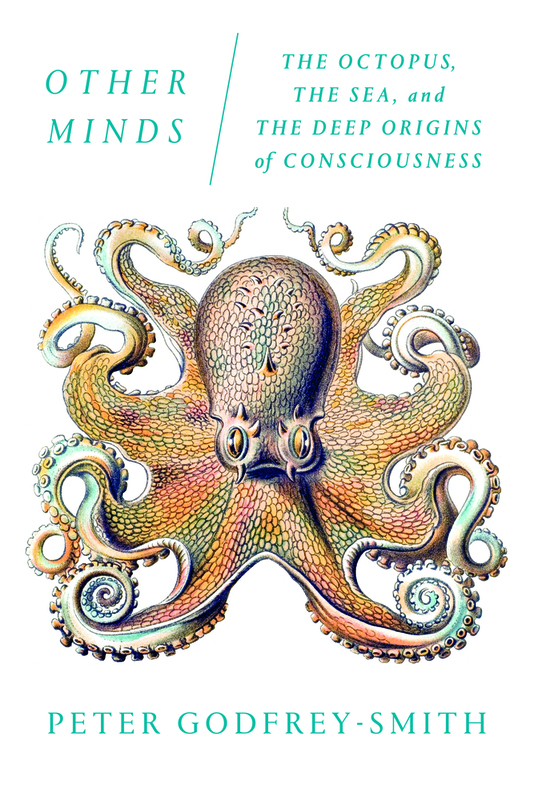 Let’s revisit the question – how similar is octopus intelligence to our own? There is still much to explore to fully understand the answer to that question. From what we have learned so far, it would seem that the lonely, alien-like octopus might be more similar to us than we previously thought. Edsinger E., Dölen G. 2018. 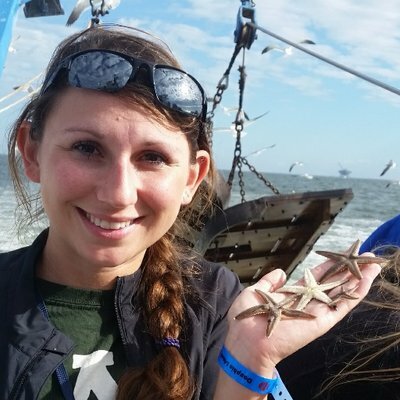 “A Conserved Role for Serotonergic Neurotransmission in Mediating Social Behavior in Octopus.” Current Biology 28 (19): 3136-3142.e4.